Have you ever wondered what sort of pyjamas a cat might wear? We read the book "The Cat's Pyjamas" by New Zealand author Catherine Foreman. 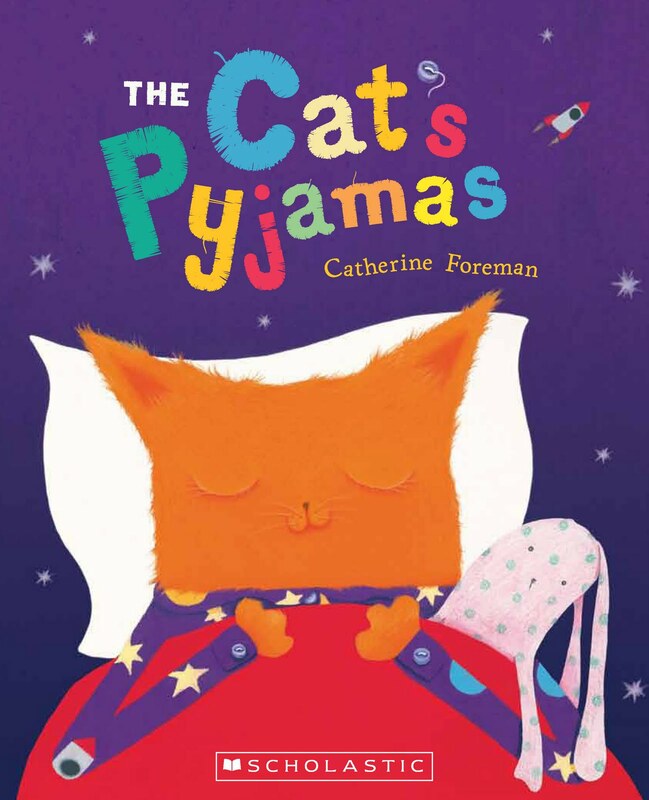 In the story the cat has seven different pairs of pyjamas. When he wears his garden pyjamas, he dreams about gardening, when he wears his ocean pyjamas, he dreams about fish in the sea, and when he wears his monster pyjamas, he stays awake all night! 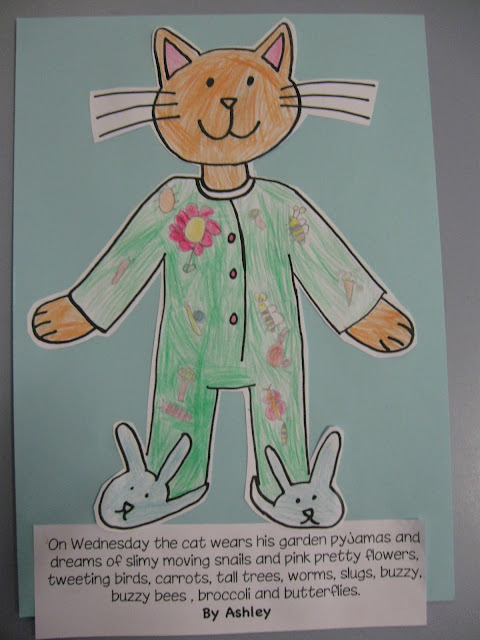 We used our Green Hat thinking to think of some new pyjamas the cat might wear and then we wrote about what he might dream about when he wears his pyjamas. Here are some of our ideas. i like your cats . They are cool and i love your writing about the cats. I like the pictures of cat.Out of all the cats I like Antony's. From Tim's mum.